Zoar Valley is located only an hour’s drive south of Buffalo, New York. Traversing some of the most spectacular scenery in Western New York, it remains virtually hidden due to its difficult access. Certain sections of the gorge can be seen from several remote vantage points, but by far, the best view can be had from the river far below. Class I and II rapids with numerous riffles. This is an extremely user friendly section of the river with bald eagle sightings as they soar among the towering cliffs. Numerous class I, II & III rapids. You’ll raft in a deep gorge with towering cliffs hundreds of feet high surrounded by remote, pristine wilderness. View stands of old growth Oak, Hemlock and Tulip, hidden waterfalls and frequent bald eage sightings. This trip provides beauty and adventure in one memorable afternoon. 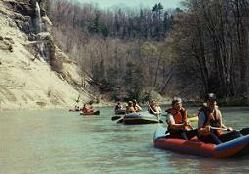 runs through Zoar Valley can take anywhere from 2-4 hours, depending upon water level, to cover the 9 1/2 mile distance. 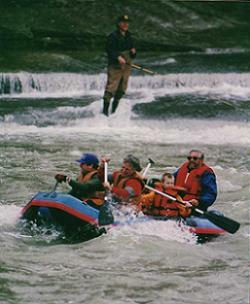 The challenging and often unpredictable rapids of the Zoar range from gentle riffles to Class III “Bouncers.” At higher water levels you could be treated to 5 miles of almost continuous white water action. The River Trips are run primarily on weekends, with holidays and semester breaks also popular. Weekday trips can also be arranged if your group numbers 10 or more. 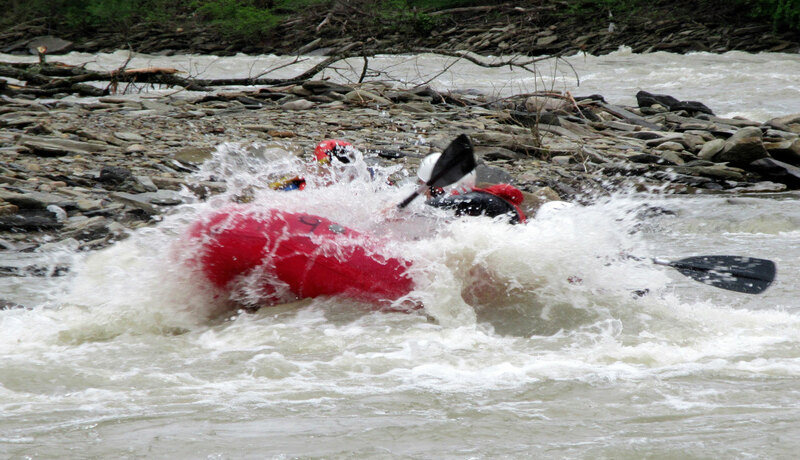 The Spring Rafting Season in Zoar Valley opens in March with the spring runoff and usually lasts until late May or early June as the water level becomes too low for effective passage. 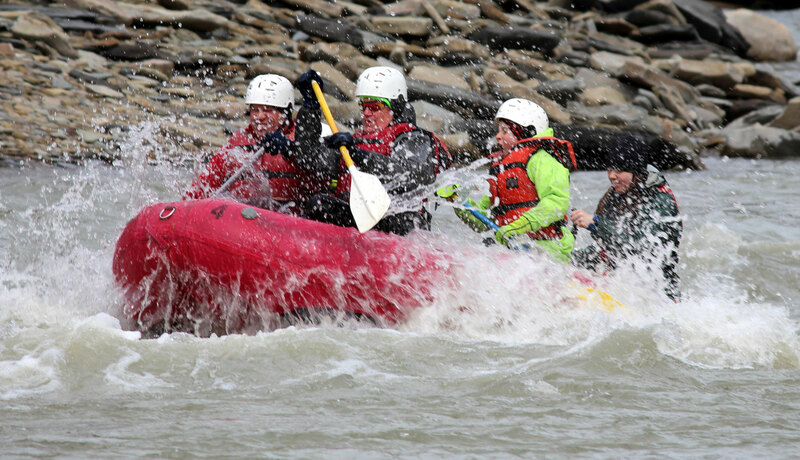 The best white water action can normally be had through April, depending of course on the amount of rainfall. May, as the water level begins to recede, can generally be counted on to provide the more scenic, warmer and serene trips. It must be noted however, that May showers can bring about a sudden rise in water level, reminiscent of early season. Whatever Your Choice, white water rafting in spring and fall, or the ducky in May and June, or coming out for a hike at any time, the “Zoar” offers an adventure well worth exploring! So climb aboard our river boats and experience beauty and excitment in one memorable afternoon and join us in a Zoar Valley River Adventure!